As the world's leading CO2 monitor and control system, Embra Carbo Check uses the well-known saturation pressure / temperature technique for accurate, non-sampling measurement Embra Carbo Check can be used for measurement alone or configured as a control system. The non-invasive oxygen analyser OXYSPOT dot uses an innovative optical measurement method for determining the oxygen concentration within sealed transparent/semitransparent packages. The oxygen concentration is displayed directly and precisely on the screen of your PC or tablet. 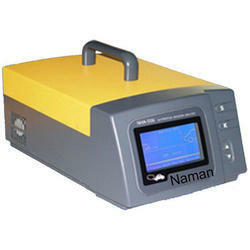 We offer Purity Gas Analyzer to check the purity of CO2 continuously online in 0 to 100% range. This instrument is suitable for checking the purity of CO2 plants or percentage CO2 in welding gases or any gas mixtures and CO2 incubators.